GM will throw a bone to President Donald Trump, announcing Friday its investment into its electric car plant north of Detroit after enduring intense criticism over shuttering a plant in Ohio and laying off thousands of workers. 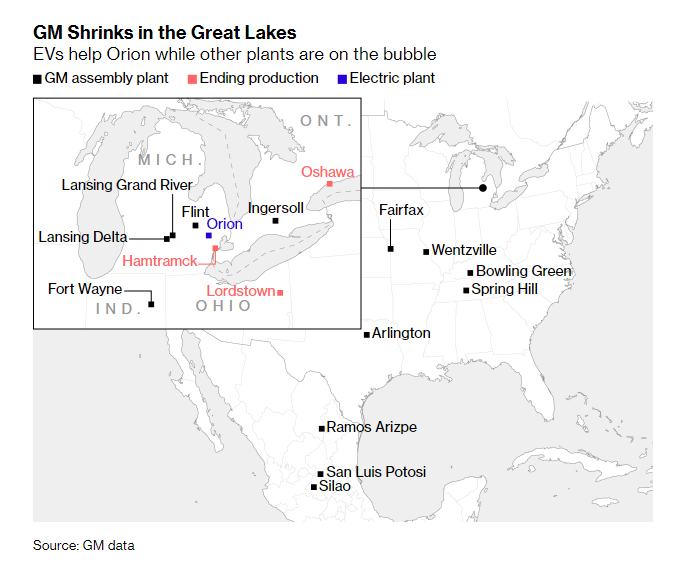 The automaker released a media advisory that says it, the United Auto Workers union and local government officials will make things official today at the factory in Orion Township, Michigan. GM will reportedly invest $300 million and create 400 new jobs at the Michigan plant. GM has taken a lot of heat from Trump over the closure of its Lordstown plant in Ohio, a critical swing state that Trump won in 2016 that will likely be just as important for his reelection chances in 2020. “Get that plant open,” Trump demanded this week, telling GM to either reopen it or sell it to someone else who will. GM said in a statement earlier this week that it will not be swayed on reopening the Lordstown plant, where the Chevy Cruze was made. With gas prices holding relatively low, demand for small sedans like the Cruze has waned drastically.